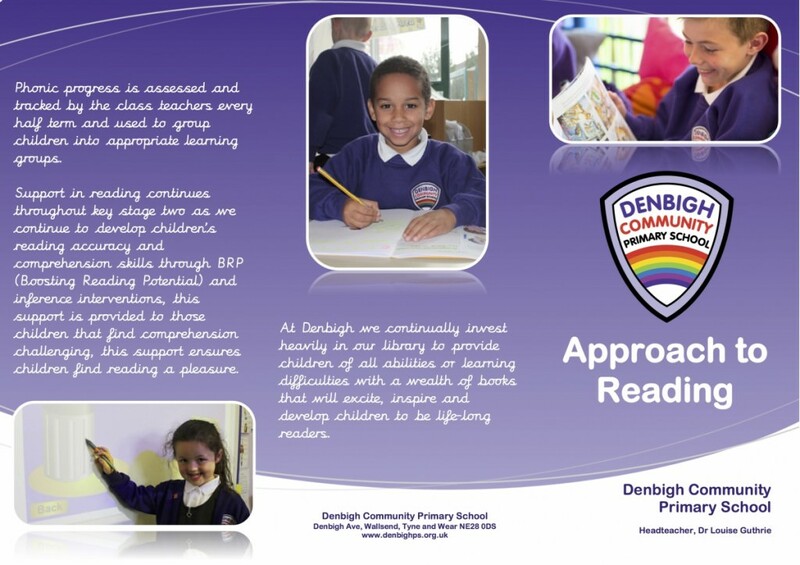 At Denbigh we teach reading through ‘Read Write Inc Phonics’ from Reception. To ensure we meet the learning needs of our children, we stream for phonics in Reception, Years 1,2 and 3. This means that your child is being taught phonics in a group where all children are working at the same level and learning the same letter sounds. In Key Stage 1 these groups may be made up from children from Years 1,2,3. As we know, children learn at different rates, therefore we tailor our phonics teaching to the need of the children to ensure they are secure with letter sounds before moving them on. This makes sure that children have a solid foundation of phonic knowledge which they then build upon, making them fluent and able readers and writers. Support with reading continues into KS2 as we continue to develop children’s phonological knowledge and understanding through ‘Fresh Start’ (Read Write Inc) while improving reading accuracy and comprehension skills through BRP (Boosting Reading Potential) and Inference Intervention. We provide additional support to those children that find comprehension challenging. We are committed to supporting children to overcome any difficulties they may have in their ability, to insure that our children find reading a pleasure. In KS2, children continue to build on their reading skills through structured Guided Reading sessions, which teach key skills and probe children’s understanding. In conjunction with our dedicated teaching, we use Accelerated Reader to give children the opportunity to delve into new books independently whilst building reading speed and fluency. 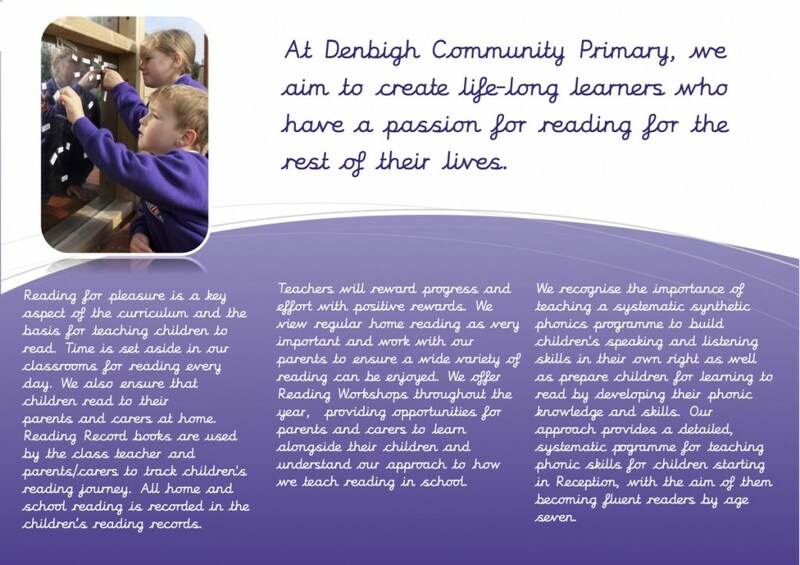 At Denbigh, we continually invest heavily in our library to provide children of all abilities or learning difficulties with a wealth of books that will excite, inspire and develop children to become life-long readers.